Andrew has been busy the past week harvesting a good crop of honey. We have always enjoyed his honey but I think that this year’s is the best yet! The flavor of some of it is lighter and more fruity, probably because of the basswood (linden) trees that were loaded with a huge number of blooms shortly before harvest. I was working in the field near a basswood tree when it was at peak bloom and was surprised that the tree sounded alive with the buzzing of thousands of bees busy working its flowers. 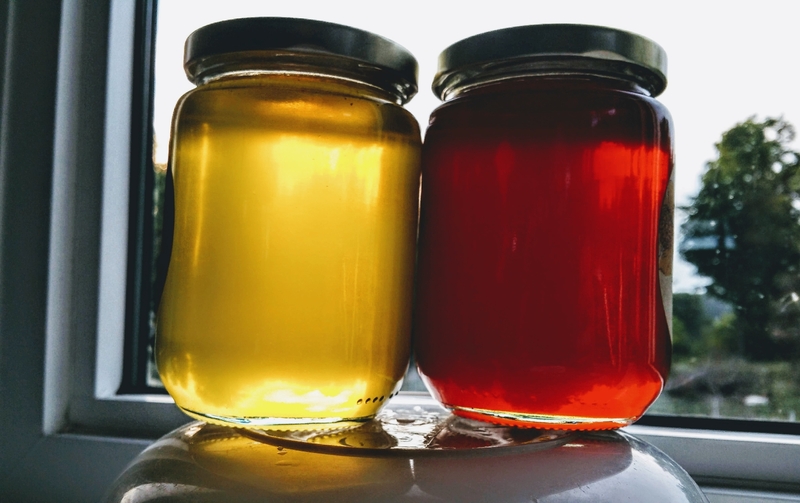 Honey from other areas is a little darker and many people enjoy its more robust flavour better. I am particularly excited that this year Andrew is selling “old fashioned chunk honey” . Honey comb must be one of nature’s most wonderful treats! 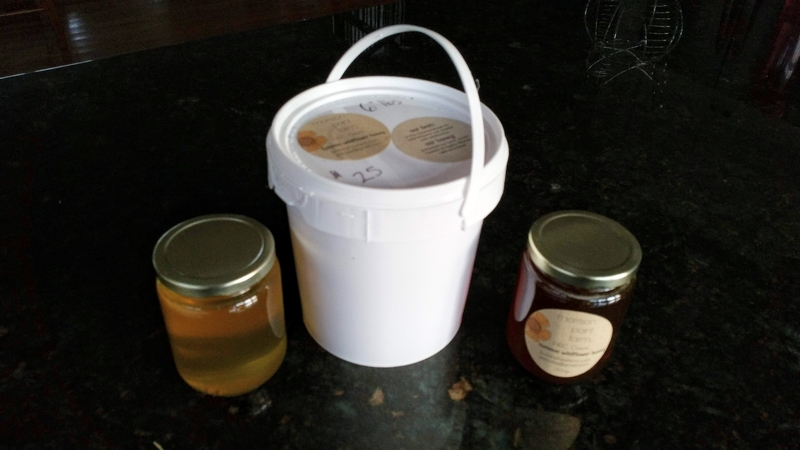 Because the honey flow has been very good this year, Andrew is also selling it in bulk by the pail: both 6 pound pails ($25) and 11 pound pails ($40). Our BC followers can only enjoy the pictures of the honey but local people are welcome to come to our “honey shack” at 573 Morrison Point Rd to pick up some great honey. It is great. I always love reading anything related to nature. My father is a farmer too in India and one of my brother-in-law (sister’s husband) has his own honey bee farm and we used to listen about different flavour they collect according to the season and bee’s visit to different flowers.